Boat Charters – one our 3 U.S. Coast Guard approved vessels for a Private Whale Watch and Wildlife Tour from San Juan Island near Seattle, WA. Call us at 800-450-6858 for charter inquiries or to book your tour today. 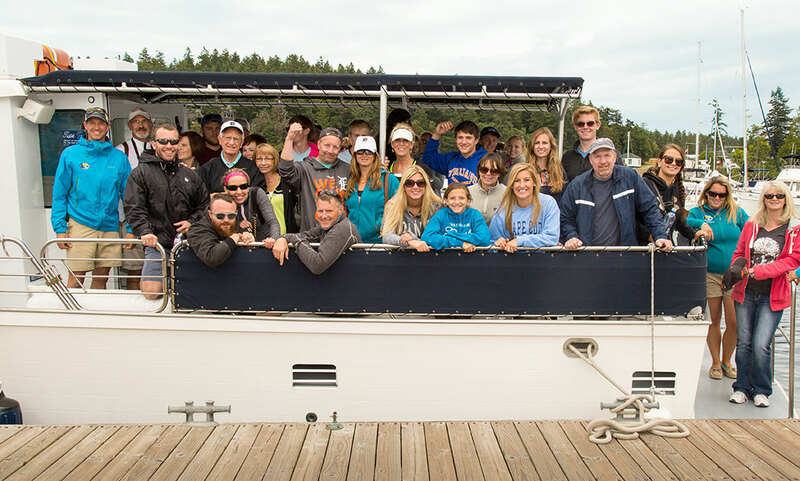 Join us for a private 3-4 hour Whale Watch and Wildlife Tour excursion in the San Juans! Chartering a vessel is great for large parties and even small intimate groups. With 3 vessels we are sure to be able to accommodate your group. When you charter a vessel, you get a private experience and more one on one time with our Marine Naturalists. San Juan Safaris in known for respectful wildlife viewing and we adhere to the federal guidelines and regulations set by the Pacific Whale Watch Association. In addition to your boat charter, we can arrange your flight up from Seattle via seaplane and can also arrange catering for your event. Catering: We would love to help you cater your event! We work with local eateries as well as our own professional kitchen to provide boxed lunches, appetizers, and even gourmet fair!